CQUniversity's Office of Social Innovation in collaboration with ygap invite you to a screening of the award-winning and thought-provoking documentary, Poverty, Inc., as part of Anti-Poverty week. Doors open at 5:45pm and the screening will commence at 6:15pm sharp. There will be a 20 minute facilitated discussion post-screening followed by conversation and networking over drinks and canapés. 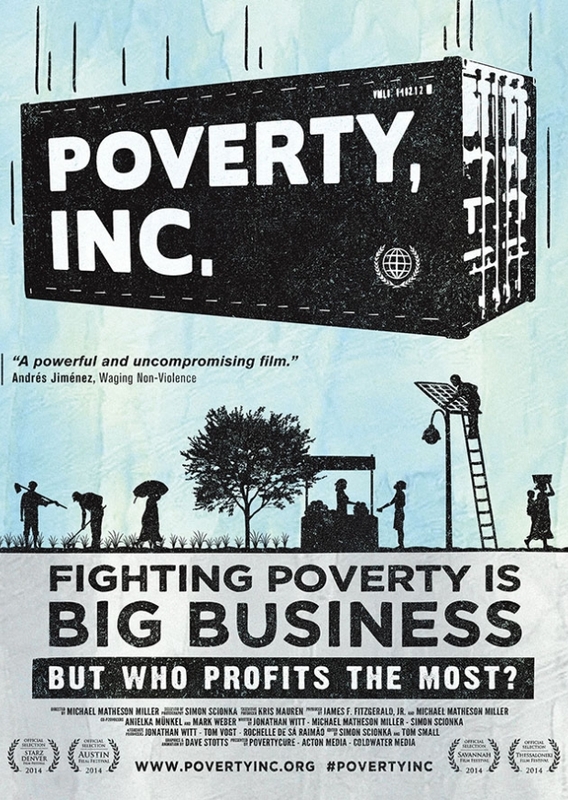 Poverty, Inc. explores the power dynamics embedded within the current charity model which often disempowers and disengages the poor, situating them as objects of charity rather than the active protagonists and ultimate saviours in their own stories. The film has earned over 40 film festival honours including a “Best of Fests” selection at IDFA Amsterdam - the biggest documentary festival in the world. With numerous screenings at Harvard, MIT, Yale, Stanford, Cornell, Penn, Notre Dame, Northwestern, and others – this is an opportunity to see the film in Melbourne Australia.